Our relationship begins with a free consultation to evaluate the scope of your needs and desires. 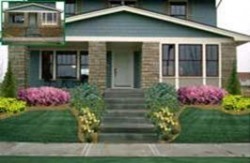 The next step proceeds to the design of your landscape that will provide you with comfort, enjoyment, and beauty. A personal landscape design will be developed with your needs and desires in mind. Do you desire attracting butterflies and hummingbirds? Do you like to have fresh cut flowers to fill those vases and brighten up your home? Or do you want to just relax on your patio surrounded by individually selected perennials and shrubs that will tantalize your senses with fragrance, blooms, and uniqueness? 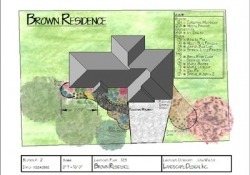 We create your personal Landscape Design using a computer imaging program. We will take a picture of your current landscape and import your picture into the program. This program will create a visual plot landscape plan and an actual visual view of what your project will look like when completed. A 3-D Imaging System is also included to give you a real sense of the layout and design. It takes all of the guesswork out of trying to imagine what your landscape will look like.